Thanks to a wide range of consumer electronics and internet apps, anyone with a little extra income and time on their hands now has the ability to track and monitor all sorts of data points about their daily existence: steps walked in a day, calories consumed each meal, or the quality of sleep gotten each night. 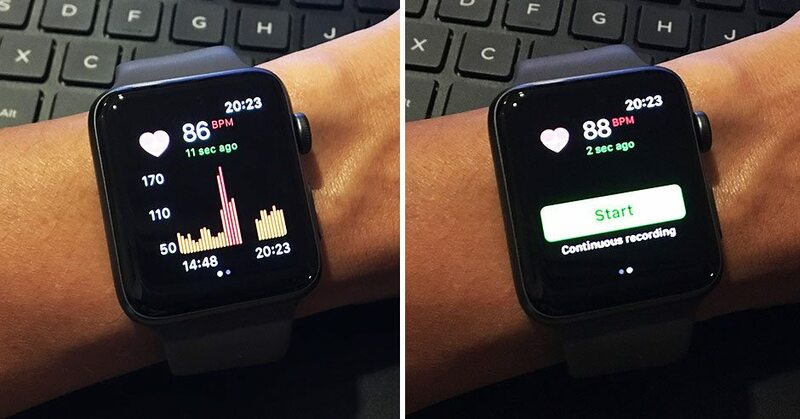 Sleep tracker apps or standalone devices like the Apple Watch and Fitbit have become popular additions to the sleep product market, claiming to help users sleep better by allowing them to visualize both long and short-term sleep data trends. However, a new study published in the Journal of Clinical Sleep Medicine claims that wearable sleep tracking devices have led to a new sleep disorder caused entirely by the use of these devices itself. Is it ever a good idea to mix technology and sleep? Of course not, but when has that ever stopped the There’s-An-App-For-That crowd? Many of the industry’s biggest names have been releasing wearable devices or in-bed sensors to help people track their sleep quality, but a group of sleep researchers from Northwestern University say all that data is leading to worse sleep for some people. In fact, they’ve claimed to have diagnosed a new sleep disorder called “orthosomnia” caused by an obsession with sleep tracker data. The study behind this new orthosomnia diagnosis consisted of three case studies of individuals who all reported insomnia-like symptoms and daytime fatigue. Each of them wore sleep trackers, and cited the data these trackers collected as “evidence” of their sleep problems. However, in-depth clinical sleep studies of these patients found no inherent sleep conditions; thus, researchers concluded these sleep problems were essentially in these patients’ heads. There are an increasing number of patients who are seeking treatment as a result of their sleep tracker data because of concerns over both sleep duration and quality. We termed this condition “orthosomnia,” with “ortho” meaning straight or correct, and “somnia” meaning sleep, because patients are preoccupied or concerned with improving or perfecting their wearable sleep data. We chose this term because the perfectionist quest to achieve perfect sleep is similar to the unhealthy preoccupation with healthy eating, termed orthorexia. Will an awareness of this condition lead to decreased use of sleep trackers? Doubtful. Hopefully, though, it will help users understand that the data they collect should be taken with a grain of salt. Consumer electronics are not as precise as clinical medical techniques, and a hyper awareness of one’s sleep each night can only lead to anxiety about getting into bed each night. There will be good nights and bad, but the long-term trends are what’s important. Want better sleep? Leave the electronics out of the bedroom, get some exercise, and stay away from coffee after noon.